The Iranian drama "About Elly" and documentary "Racing Dreams" emerged on top when awards for the eighth annual Tribeca Film Festival, co-founded by Robert De Niro, were announced Thursday. "Racing Dreams," directed by Marshall Curry, was one of the crowd favorites at the festival. It follows three young racing enthusiasts who hope to grow up to be NASCAR drivers. Curry's last film, "Street Fight," won the Tribeca audience award in 2005 and was nominated for an Academy Award. Documentary winners at Tribeca have a solid history. Last year's winner was the acclaimed "Pray the Devil Back to Hell," about the role women played in ending civil war in Liberia. 2007's winner, "Taxi to the Dark Side," went on to win the Academy Award for documentary. In its selection of "About Elly" as best feature film, the jury said it was "unanimous in our passion for this seamless piece of ensemble filmmaking." 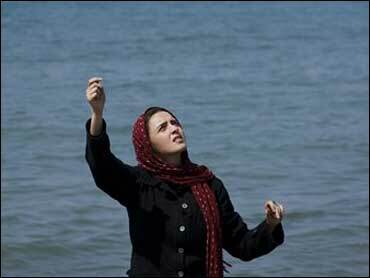 The film, directed by Asghar Farhadi, is about a group of college friends who reunite for a weekend trip to the Caspian Sea. Ciaran Hinds (HBO's "Rome") won best actor for his performance as a haunted widower in playwright Conor McPherson's "The Eclipse." Best actress went to Zoe Kazan in "The Exploding Girl," Bradley Rust Gray's character study of a college student home in Brooklyn for the summer. Rune Denstad Langlo ("North") won the best new narrative filmmaker award. Ian Olds ("Fixer: The Taking of Ajmal Naqshbandi") won for best new documentary filmmaker. "Fixer" was purchased by HBO during the festival. The Tribeca jurors this year included Brian Williams, Meg Ryan, Uma Thurman, Whoopi Goldberg, Bradley Cooper, Todd Haynes and Henry Louis Gates Jr. The festival's audience award winner will be announced Saturday evening.